Hello loves, hope you had a good Valentine's Day and you were surrounded by love? I posted this photo of heart shaped yams on my instagram page yesterday and got a lot of requests to create a video showing how I fry yam and how I got this shape. 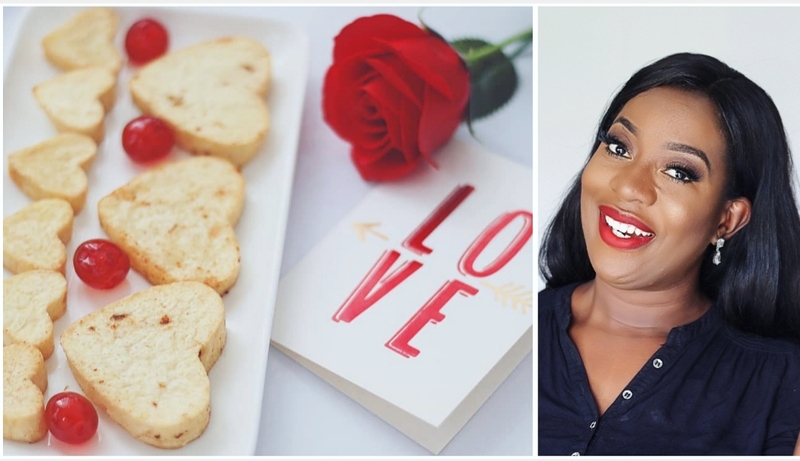 Tis prompted me to create a video immediately, I know Valentine's Day is behind us but you don't need Valentines Day before you eat heart shaped yams do you? Valentine should be every day, love should be celebrated often. If you want to see how I got it done, then press play and don't forget to SUBSCRIBE!! Yes, vals day should be everyday. And romantic love is not the only kind of love! I saw this recipe on YouTube. Can't wait to try it!